Clocktower Residents She Resonates invite musician Anaïs Maviel to join us on Mother's Day for an in-studio performance 5PM, May 14th in conjunction with Pioneer Works' Second Sunday programming. 4-5PM / 6-7 PM - Streaming tunes, talks, and other programmic delights @ www.clocktower.org / live from Pioneer Works. Anaïs Maviel is a vocalist and multi-instrumentist. 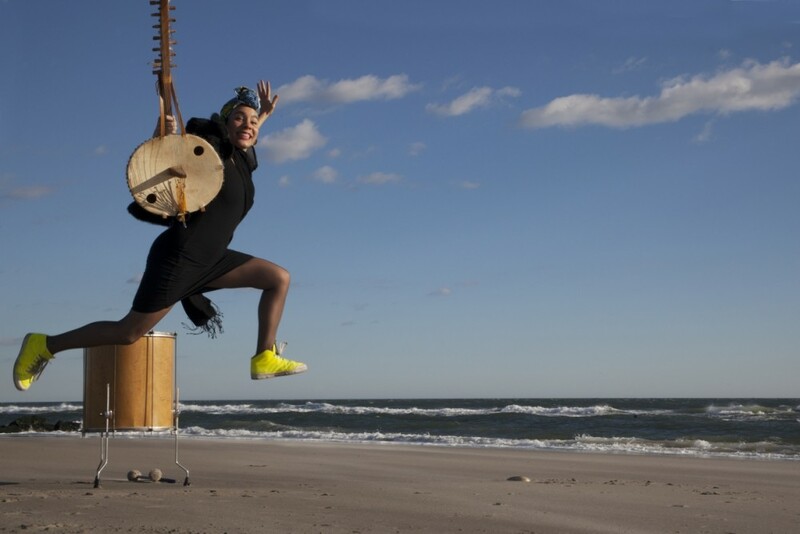 A fearless improviser, composer, and performer, she expresses hybrid forms through the reinvention of her French and Haitian origins; invoking her ancestry, cyborg futurism, and a scholarly focus on Afrocentric musicology as a contemporary utopian alternative to politics. Viewing music a healing and transformative act, her practice and collaborations incorporate music, dance, theater, and performance. Previously, she has held performances at 65Fen, The Lot Radio, Roulette, Issue Project Room, The Stone, Nublu, Judson Church, the Lincoln Center Atrium; The River-to-River Festival, and more. She has collaborated with William Parker, Larkin Grimm, Mara Rosenbloom, Matt Lavelle, Michael Bisio, Jen Baker, the Commons Choir among others. For tour dates, past projects, and more about Anaïs Maviel, visit her site. To explore her musical work, visit Bandcamp. For more info about the upcoming Second Sunday events, click here! Curious about Clocktower's current Radio Residents? More information can be found here.